A seagull is silhouetted against the sunset illuminated Gulf of Mexico. Not really a very difficult shot to get, in fact most cameras will take this shot automatically given these back-lighting conditions. 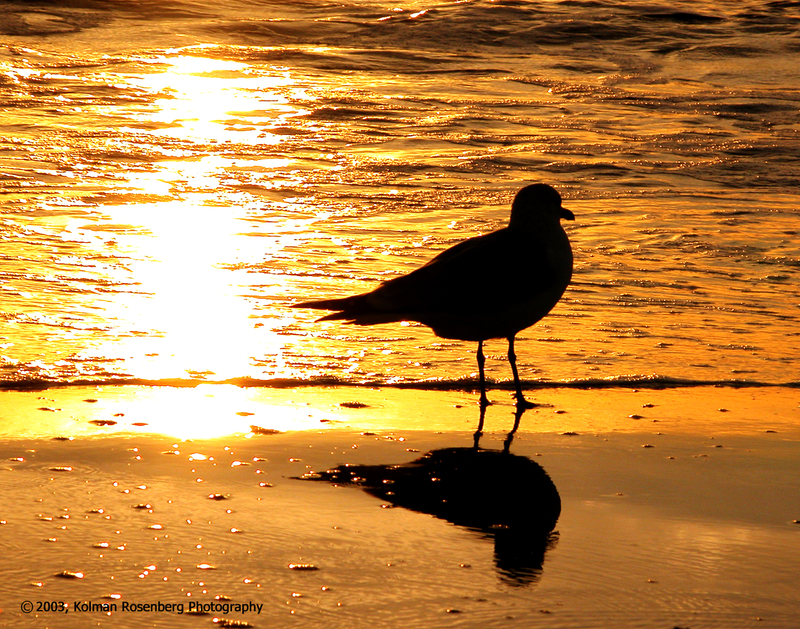 Finding the right circumstances, a patient seagull, the extremely warm sunset, and the reflection in the wet sand however are another matter. Lots of luck and being in the right place at the right time made this shot possible. The photo has a very calming mood to it making it one of my best selling photos. That calming effect, no doubt, is why it is hanging in 2 medical facility waiting rooms! This entry was posted in Uncategorized and tagged backlighting, beach, florida, gulf, mexico, sand, seagull, sillhouette, sunrise, sunset. Bookmark the permalink.